It’s a well-known fact that when winter hits, we spend less time outside and more time inside our homes. Those that like to be social might find themselves inviting guests over more frequently, perhaps by throwing winter parties, hosting out-of-town guests, or having cozy, indoor get-togethers with family and friends. In fact, winter is likely to be your home’s busiest time of the year. As such, it is important for you—the host—to make sure that your home is welcoming for those you invite inside. Oftentimes, homeowners focus on preparing their living area, dining room, and guest bedrooms for guests, but ignore the bathroom areas—which can detract from the experience your guests have in your home in many ways. Needless to say, bathrooms are important and deserve to be given plenty of care throughout the year and especially in the winter. In this article, our expert team of bathroom remodelers at Home Concepts Custom Remodeling will share with you some of our favorite tips on how to make your bathroom more guest-friendly during the cold season, to help you better enjoy the time you spend with your loved ones indoors. The simplest piece of advice that would significantly influence your guests’ impression of your bathroom is to keep it squeaky clean. 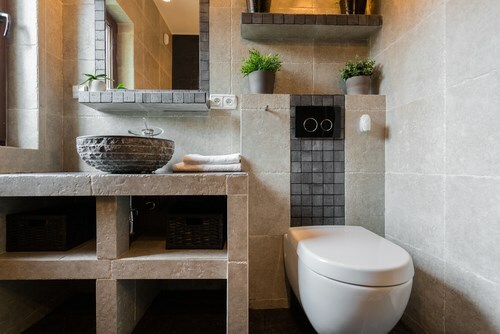 If you don’t have the time or budget to contact bathroom remodelers and upgrade your space, you can make the most of what you currently have and just make your bathroom so clean that you can sleep on it. Remove all stains on the floor and toilet, including the underside of the toilet seat. Also, disregard empty shampoo bottles and replace toiletries. If your bathroom still looks dingy or deteriorating even after hours spent scrubbing and cleaning, it may be time for an upgrade. New wall surrounds, bathtubs, tile flooring, or other areas are easy to clean and maintain, and can transform your old and dirty bathroom into a gleaming masterpiece that lasts for decades—without all of the intense upkeep required of older bathroom materials. In addition, today’ss remodeling solutions range from comprehensive renovations to quick and affordable replacements. Depending on the state of your bathroom and the time you have to prepare, you may want to consult with a company like Home Concepts Custom Remodeling to find out what options are available to you. Make your guests feel that they’re staying at a hotel by preparing a basket that has all the essential toiletries and bath items. Make sure that the towel that you provide is clean and fresh from the laundry. You should also include sensitive items such as tampons and sanitary napkins, as well as emergency items such as band-aids and pain relievers. If you don’t have an overhead fan in your bathroom, maybe it’s time to consider having one installed to prevent steamed up windows and mirrors, as well as to remove foul odors and cover up embarrassing noises. However, an alternative way to keep bad smells from staying in the bathroom is by putting an automatic wall air freshener in your bathroom. You can also keep a deodorizing spray in the bathroom, so guests can use it once they're finished using it. You can give your guests some privacy by providing some sort of sound cover. You can put a radio, sound machine, or as previously mentioned, a bathroom fan that can serve as white noise, so they will feel more at ease while using the restroom. This is especially true if your bathroom is in a high-traffic spot or next to a lounging area or dining room, where plenty of people usually gather. If there’s one thing that you should avoid, it is the situation where your guests run out of tissue paper. Make sure that you place extra rolls in an area that your guests can easily see and access. This will prevent you from getting in an awkward situation where your visitors would be forced to call out to you to ask for more tissue. As we mentioned before, bathroom remodeling can range from minor replacements of fixtures to a total bathroom upgrade or makeover. 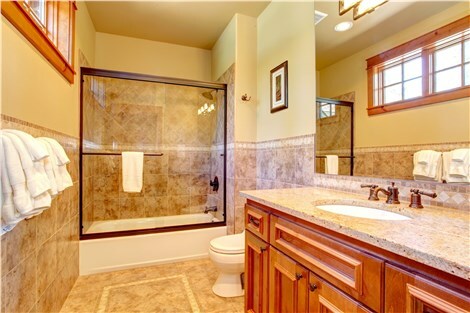 If your bathtub or shower is already several years old and if your toilet, tiles, and other aspects of your bathroom are damaged or stained badly, it may be time to get a bathroom remodel to address these and have a more pleasant bathroom for your guests. Another popular upgrade that many homeowners make is to install winter-friendly smart features, like heated flooring and upgraded lighting. These changes can make a huge difference in how your home’s bathrooms look and feel, especially during the cold season, when temperatures are low and daylight hours are shorter. Ask your remodeler about convenient upgrades that can modernize your spaces and wow your guests, while enhancing the value of your home’s worth with advanced technology. Homeowners who need a reliable Phoenix bathroom remodeling company should consider working with Home Concepts Custom Remodeling for efficient and reasonably-priced services that are tailored according to your unique needs. From shower and tub replacements to bathroom conversions and wall surrounds, our company can help improve your bathroom and make it a more welcoming sight for guests this winter season. If you want to learn more about our services at Home Concepts Custom Remodeling, give us a call to speak with a representative today. You can also learn how to get a free, no-obligation, in-home estimate by filling out our online form. Get Home Concepts Custom Remodeling's latest articles straight to your inbox. Enter your name and email address below.